In the field of safe transportation of cargo and equipment to and from offshore installations we can provide engineering services focused on the design of cargo units compliant with service in harsh environments where the lifting operations are undertaken in low temperatures down to -40ºC, strong winds up to 24 m/s, and wave heights of up to 8 meters. Such units, based upon standard or customized designs, are designed in compliance with strict rules and regulations so as to ensure safety and efficiency of operations in such harsh situations. Besides design and engineering packages which can be used for approval and fabrication, we can provide you with additional support by outlining inspection and test plans during fabrication as well as provide you with the required technical assistance necessary to ensure that compliance with the relevant codes and standards is fully met. Please look into the different scopes of work and design packages below for additional information. Courtesy services We are determined to help. To that end, we have offered several valuable services throughout the website that are available at absolutely no cost to you. Please feel free to contact us for a free consultation and let us know of your needs. Compliant with DNV Standard for Certification No. 2.7-1 Offshore Containers (April 2006) and No. 2.7-2 Service Containers (December 1995). High tensile carbon steel design, coating system compliant with Norsok M-501 and ISO 12944. Standard design suitable for design temperature of -20ºC, lower temperature (-40ºC) as option. Forklift pockets and certified lifting lugs and lifting set. Stackable up to two heights without requiring to detach the lifting slings. Internal tie down points for secure cargo fastening. 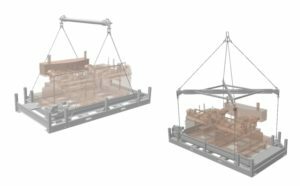 Custom designs for special cargo or load configurations, and stable lifting arrangements. Custom designs including shelves, intermediate decks, workbenches, overhead / cranes, etc. Other dimensions and ratings upon request. 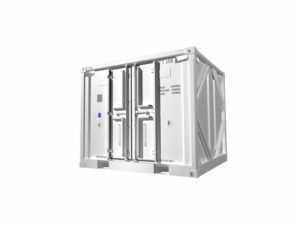 Optional design compliant with DNV’s Standard for Certification No 2.7-3 for extended ratings up to 50 tons. Designed and produced so as to endure harsh environmental conditions and fully compliant with North Sea regulations to ensure safety during handling and operation. 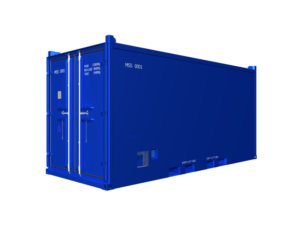 Compliant with DNV Standard for Certification No 2.7-1 Offshore Containers (April 2006). High tensile carbon steel design, coating system compliant with Norsok M-501 and/or ISO 12944. Standard design suitable for design temperature of -20ºC, lower temperature (-40ºC) as an option. Internal tie down points for secure cargo fastening and external tug points. Drainage points and anti slip finish on floor surface. Ready to be fitted with pipe or tool joint supports. 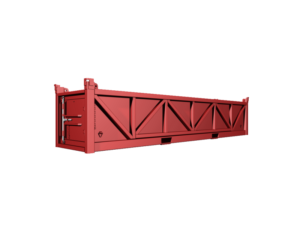 Custom designed for special cargo or load configurations, and stable lifting arrangements. As part of the engineering scope, we have developed engineering weight control and lifting arrangement plans detailing the use of lifting gear, load securing tie-down points, load securing covers, custom tool supports, and counterweights, resulting in known gross weights and weight distributions and, ultimately, in controlled, secure lifting operations. 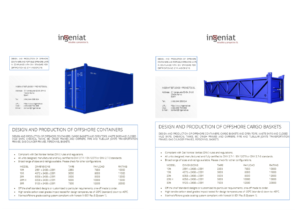 We can also offer a wide range of custom designs of cargo baskets suitable for subsea marine operations and compliant with DNV 2.7-3 requirements, with ratings ranging from 1.0 ton up to 25.0 tons. 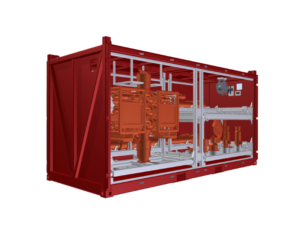 Designed and produced so as to facilitate transportation of dangerous goods to and from installations offshore, and fully compliant with North Sea regulations to ensure safety during handling and operation. Compliant with DNV Standard for Certification No. 2.7-1, IMDG, ADR/RID, CSC, TIR, UIC. Custom designs also compliant with ISO 1496 Part 3 and IMO Convention for Safe Containers (CSC). Produced in high tensile carbon steel, coated with Norsok M-501 and/or ISO 12944 compliant system. Tanks produced in AISI 316L (EN 1.4404) stainless steel, other materials as per requirements. 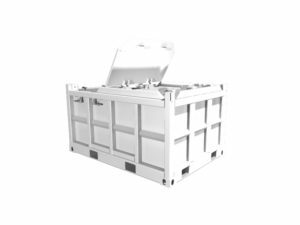 Custom designs with protective interior linings for storage of corrosive products. Standard design suitable for design temperature of -20ºC, storage tank from -40ºC to +50ºC. Fittings compliant with IMDG requirements as standard. Forklift pockets (where allowable as per IMDG) and certified lifting lugs and lifting set. Insulated and non insulated models (including heating systems). For all types of cargo and cargo distributions, we can engineer a suitable lifting arrangement and specify the corresponding gear necessary to undertake the lifting operations in a safe and efficient manner. 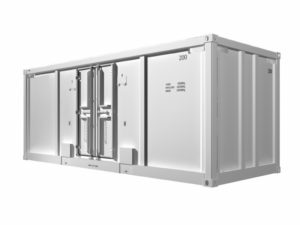 Different proposals can be provided taking into account lifting constraints at the installation site, as well as any additional aspects of relevance. We can accommodate the engineering packages to ensure compliance with different codes and regulations, as deemed necessary by the client. 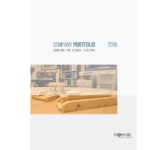 Please refer to the following brochures for more information on standard designs.